Sprinkle 2 tablespoons of the flour on work surface. On floured surface, roll half of the dough to 1/4-inch thickness; place remaining dough in refrigerator. With 1 1/2-inch star-shaped cookie cutter, cut out about 18 small star-shaped cookies. Place on ungreased cookie sheets. 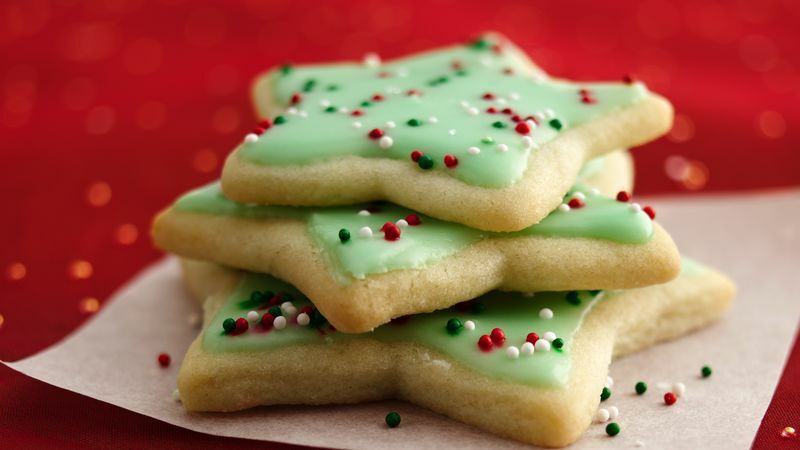 Repeat with 2-inch star-shaped cookie cutter and 2 1/4-inch star-shaped cookie cutter, using remaining half of dough, rerolled dough scraps and flour. Bake 6 to 10 minutes or until light golden brown. Remove from cookie sheets to cooling racks. Cool completely, about 10 minutes.